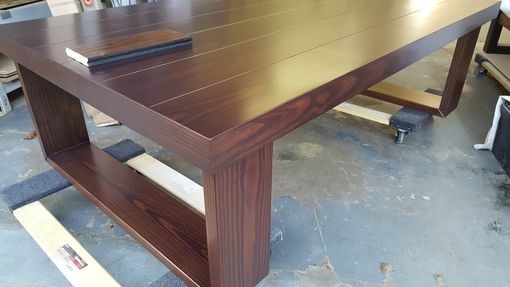 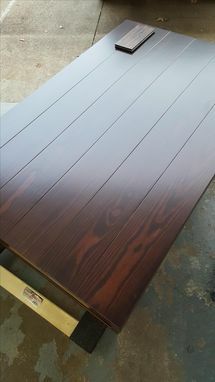 This Custom Made Coffee Table is 60x38x19 Salvaged Pine, Stained with American Walnut, Sprayed with Low VOC waterbase laquer tinted Dark Walnut to give it that deep rich color. Ready for pickup or shipping at additional cost. 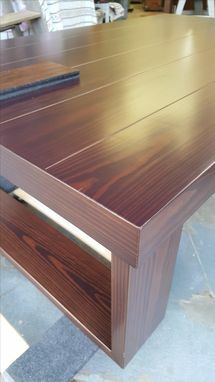 Other sizes or finishes can be ordered.